Common Cause Wisconsin: Days of "Action" on Fair Voter Maps and Ending Partisan Gerrymandering in Wisconsin! Days of "Action" on Fair Voter Maps and Ending Partisan Gerrymandering in Wisconsin! Common Cause in Wisconsin (CC/WI) is joining many other organizations in Wisconsin in urging our members and supporters to take action the rest of this week – Wednesday, Thursday and Friday, May 3rd, 4th & 5th to elevate and advance fair voter maps and an end to partisan gerrymandering in Wisconsin. We ask that you do as many of the actions listed below as you can and that you do them either all at once, in one day, or spread your activity out over Wednesday, Thursday and Friday of this week. The sustained activity by thousands of Wisconsinites is making a big difference. 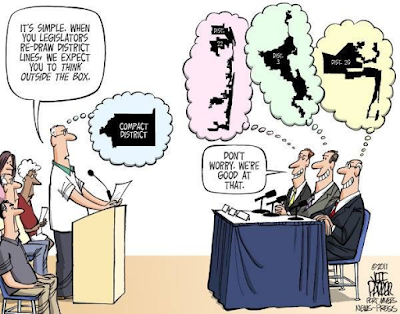 The visibility of the issue of redistricting reform is as high, or higher, as it has ever been – certainly since the late Summer of 2013 when more than 10 daily newspapers in Wisconsin simultaneously published editorials in support of the "Iowa Model" for Wisconsin as the process to adopt for redrawing state legislative and congressional district lines after every decennial census. Reformers and pro-reform state legislators continue to be united in support of the "Iowa Model" legislation, which this year has bipartisan support as Senate Bill 13 and Assembly Bill 44. The Wisconsin court case, Whitford v. Gill – now pending before the U.S. Supreme Court – gives new and significant urgency to our efforts to adopt a new system for drawing voter maps, as a federal court panel ruled last November that the 2011 hyper-partisan Republican gerrymander of Wisconsin's state legislative districts is unconstitutional and new districts must be redrawn before November 1, 2017. This excellent New York Times article of April 21st provides great information and background about what is at stake. 4. Sign the online petition in support of redistricting reform legislation (Senate Bill 13/Assembly Bill 44). Urge others to sign it as well. 5. Be ready to vote! 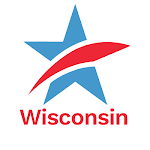 Make sure you have one of the required forms of photo ID in order to vote in Wisconsin and take responsibility for 10 friends/family members to ensure that they have what is required to vote as well. You may have already taken one or more of the other actions listed above, but many legislators have short memories and need constant reminders about doing the right thing and what the citizens of Wisconsin demand and need, so don't be shy – contact them again! Vos, Fitzgerald and all state legislators are supposed to serve the citizenry – not the inverse. Similarly, voters are supposed to choose their state legislators, not the other way around, which is now the situation in Wisconsin because of hyper-partisan redistricting. Let CC/WI know what, if any, responses you receive from state legislators. We are making a list and keeping track. Most importantly: Never give in and never surrender. We can and will prevail in this struggle for the very heart of democracy! Days of "Action" on Fair Voter Maps and Ending Partisan Gerrymandering in Wisconsin!Tweet this!